Events in Lusaka, the capital city of Zambia, underscore the links between urban growth, climate change and residents’ health. 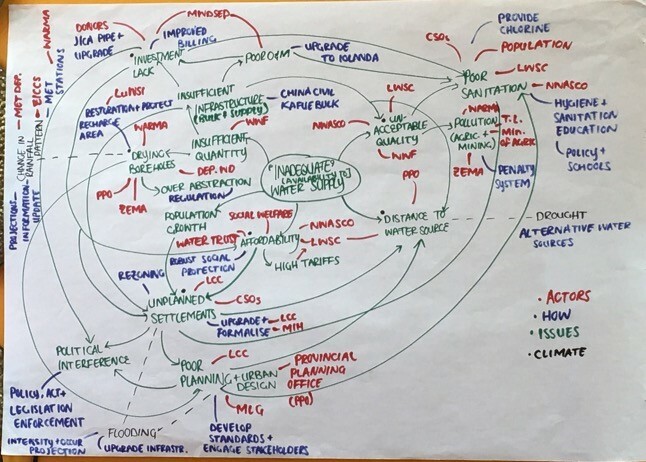 SEI’s work through the Future Resilience for African CiTies And Lands (FRACTAL) project is exploring new approaches to policymaking to deal with these issues. Reflecting on the experiences in Lusaka are three participants in the project: SEI Research Fellow Liz Daniels; SEI Senior Research Fellow Sukaina Bharwani; and Brenda Mwalukanga, the FRACTAL embedded researcher with Lusaka City Council and the University of Zambia. One year ago, Lusaka, Zambia’s capital city, closed schools, universities, and markets for weeks. Emergency regulations imposed curfews, and banned social gatherings, from weddings to funerals. The reason: cholera. The outbreak infected more than 5,000 people and led to 98 fatalities in the city. These epidemics are not one-off events, and they are not exclusive to Lusaka. 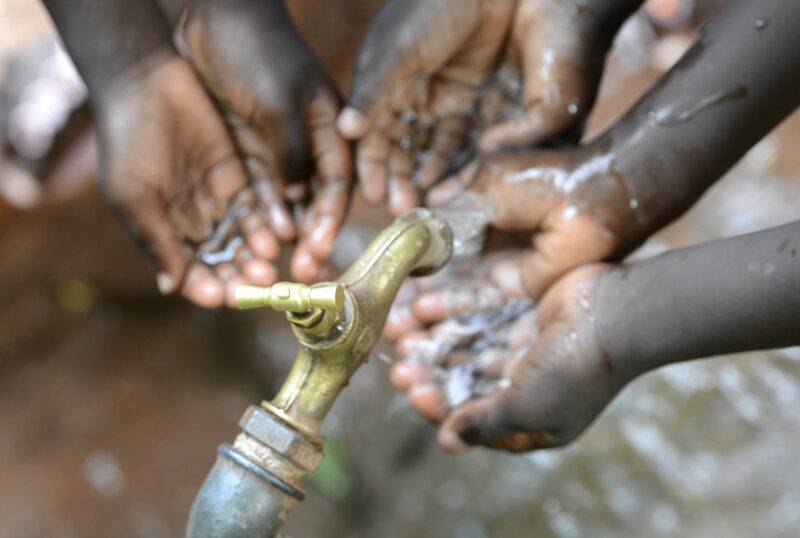 The prevalence of waterborne diseases is an increasing concern in many African cities for two reasons: the first is the runaway growth of unplanned, peri-urban settlements, and the second is climate change. Urban growth, concentrated largely in informal settlements, is outstripping the city’s ability to provide water and sanitation services. 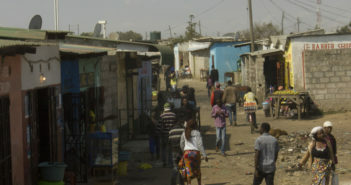 For example, less than half of Lusaka’s population has a household water connection, and only around one in six is connected to the sewerage network. Residents in informal areas access water from boreholes and shallow wells, illegally dug, too close to pit latrines. Close contact in these crowded and densely packed areas exacerbates the spread of disease. Climate change is likely to compound these problems. Projections show that while the Lusaka region may experience less rainfall overall, this rainfall will likely be more erratic and intense. This could lead to more extreme and recurrent flooding, and more frequent epidemics of waterborne diseases. 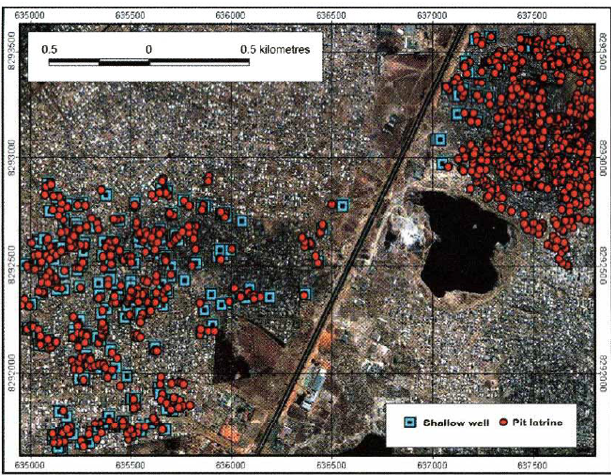 In Lusaka, cholera outbreaks align with the rainy season from October to May or June, when pit latrines and drainage systems blocked with solid waste flood, contaminating shallow water sources. Given these trends, many African cities, Lusaka included, face a choice: to continue to react with emergency measures, or to plan to address the systemic causes of these outbreaks. Reactive emergency measures are the business-as-usual and costlier route, both in economic and social terms. But addressing the underlying causes requires significant action, investment and collaboration to connect often “siloed” departments and organizations. Against this backdrop, the FRACTAL project is bringing together city stakeholders from different sectors, institutions and organizations in a series of “Learning Labs”, in southern African cities to “co-explore” how to address these issues. Started nearly two years ago, the Learning Labs are an integral part of the project. They provide a space to co-explore climate change-related urban planning and development issues with city stakeholders, and to co-create the information needed to support policy and practice underpinned by climate science. SEI is a key participant in the FRACTAL project. 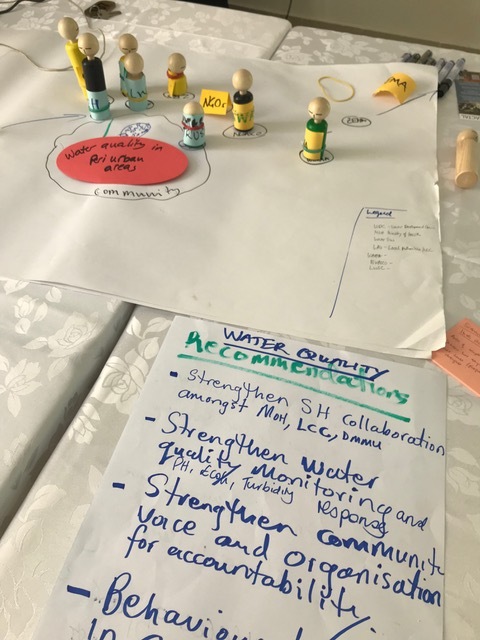 In a process driven increasingly by local stakeholders in Lusaka, FRACTAL and the Lusaka Water Security Initiative (LuWSI) are “co-producing” policy briefs on water and sanitation issues in Lusaka. 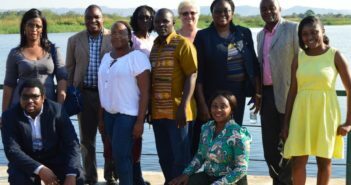 This has offered an opportunity for a diverse group of actors to collectively reflect on and propose policy solutions for some of Lusaka’s most pressing water security challenges. Launched at a meeting of ministerial representatives and other stakeholders in November 2018, LuWSI and key partners have signalled a commitment to taking forward the proposed recommendations from these policy briefs. Learning Labs have provided new and innovative spaces for city actors to converse and to build relationships where lines of communication have not existed before. the delivery of community awareness raising workshops on hygiene and waste management. At the national level, there are signals of a strong commitment to eradicating diseases such as cholera, and to promoting the health and wellbeing agenda (Sustainable Development Goal 3). For example, in 2018 the Government of Zambia proposed a resolution on cholera prevention and control to the World Health Assembly, and committed to drive its elimination by 2025. A national, multi-sectoral plan to address cholera is currently under development. 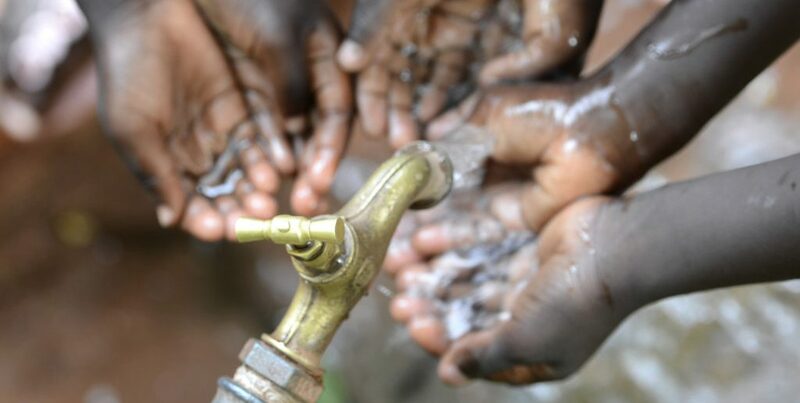 This year, fortunately, no cholera cases have yet been reported, suggesting that some actions, such as vaccination campaigns and new borehole regulations, are having an effect. However, the basic health issues remain: this year, reports of typhoid, another waterborne disease, are surfacing. 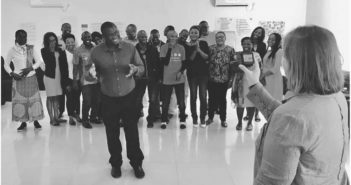 To effectively implement what should be a wide-ranging plan, and to achieve the ambition of greater overall health of Lusaka’s citizens and a more liveable city, partnerships and collaboration will be key. Initiatives such as FRACTAL and LuWSI and the emergent networks of actors and institutions working with these initiatives are planting the seeds of such collective action: these seeds will need to be nurtured and encouraged as the city faces the converging challenges of unparalleled urban growth and climate change. This blog is also published by SEI on their website. You can read it here.